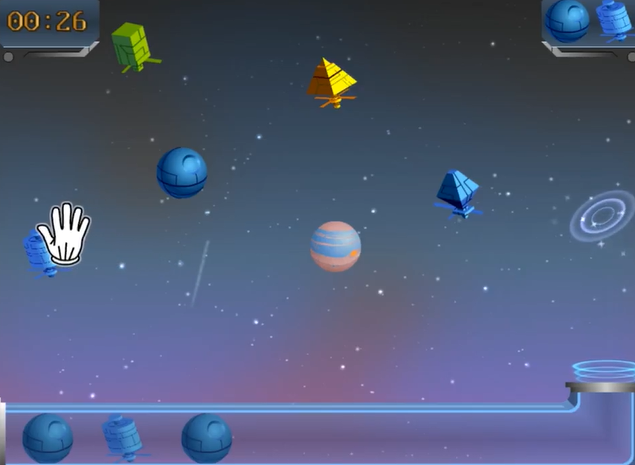 In the game “Space Motif” planets and space objects that differ by color or shape are scattered on the screen. The child is asked to recognize a given pattern and repeat it by carefully moving the planets and space objects into a tube. The child needs to develop good eye-hand coordination skills in order to avoid collisions between the planet which is being moved and the others that exist on the screen.